Jon took a turn at the stove last night with a Cajun dish. He cooked up a lot of red bell pepper, poblano, and onions. He made some very yummy grits, and cooked the shrimp separately. I made some broccoli. We have a refrigerator filled with delicious leftovers! 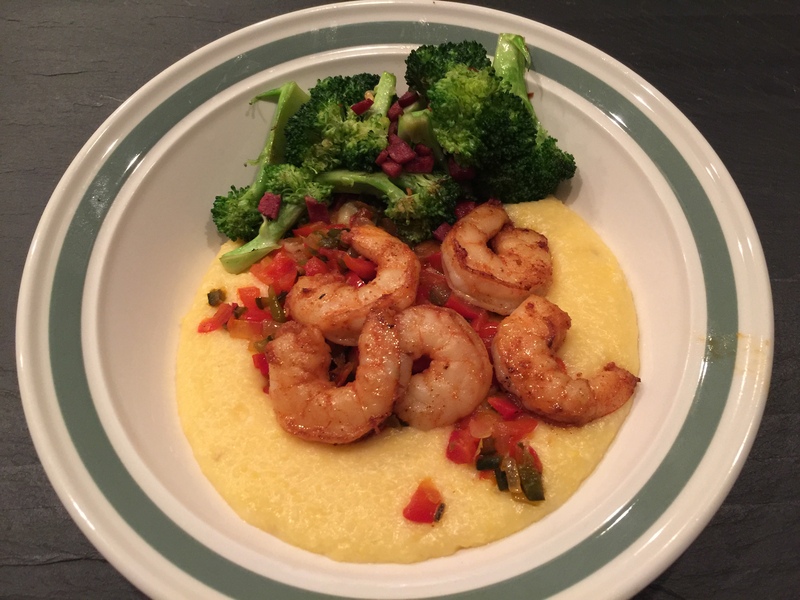 This entry was posted in pescatarian, Shellfish, Vegetables and tagged broccoli, grits, shrimp. Bookmark the permalink.